The personal injury Lawyers of MPC Law have been serving the community for many years and have recovered millions of dollars in compensation for injury victims and their families. Our Burlington personal injury lawyers specialize in motor vehicle accidents, public transportation accidents, motorcycle accidents, pedestrian accidents, slip and fall accidents, product liability, dog bites, and long-term disability claims. We are the experts other experts call when they deal with accidents that result in brain injuries, spinal cord injuries, orthopaedic injuries, and injuries resulting in chronic pain and psychological trauma. Personal injury victims often have their mobility restricted, which can make it difficult to visit us at our offices. To help protect our clients’ rights as soon as possible, we offer hospital and home visits as a courtesy. The legal team at MPC Law works with a vast network of medical specialists who can effectively diagnose and treat your injuries ensuring you reach maximum recovery. Having fought for countless injury victims from Burlington and surrounding areas, our Burlington personal injury lawyers have recovered tens of millions of dollars in compensation for victims and their families. If you or a loved one has sustained a personal injury, you deserve to be compensated. Contact us for a free, no obligation consultation, and put the winning team in your corner. Don’t suffer in silence; contact MPC Law today. We understand that time is of essence and as most of the personal injury cases are complex, they require quick action that adheres to the stringent time lines. We want you to know about your rights as it can be overwhelming for you or your loved ones to deal with serious injuries and mounting medical bills. However, it is even more difficult to come to terms with the long term consequences of the accident. 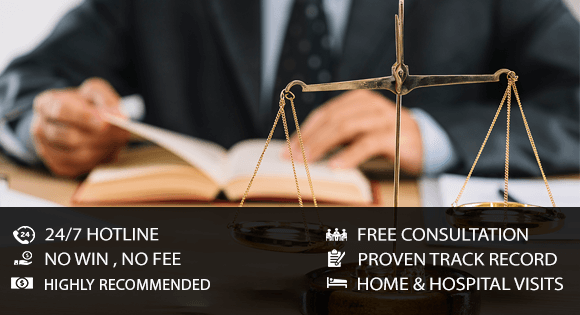 Irrespective of whether it is medical negligence, car accident or slip and fall injury that has rendered you in this situation, getting legal help is of prime importance. MPC Law is known for taking on challenging cases and delivering successful results. We put together a legal team to coordinate and access all details, before making a legal presentation. The three basic steps that our Personal Injury Lawyers in Burlington assist in includes, gathering the vital information and evidence, looking over the information or discussion between the two parties and then we advocate your case for a trial or claim settlement. You may call us to schedule an appointment and know more about how we can be of assistance. Most insurance companies work with adjusters to ensure that costs are reduced and that is why they prefer delaying claims and denying benefits. The adjusters try to negotiate lower compensations on Tort claims than the victim is entitled to. This is one of the reasons that working with an experienced member at MPC Law becomes important. You are entitled to claim damages from tort claims for loss of wages, injuries, future cost of medical treatment and care giving services. With complex legislation and new rules, it has become essential to have a professional on your side. We have helped thousands of people get the compensation and benefits they deserve.